UN Environment is warning that nations must triple efforts to reach a 2°C target – its annual review of global emissions shows an increase in CO2 emissions in 2017. According to the UN, it is still possible to keep global warming below 2°C, but the technical feasibility of bridging the 1.5°C gap is dwindling. Global CO2 emissions increased in 2017, after a three-year period of stabilization and if the emissions gap is not closed by 2030, it is extremely unlikely that the 2°C temperature goal can still be reached. The report says global emissions are on the rise as national commitments to combat climate change come up short. However, “surging momentum” from the private sector and untapped potential from innovation and green-financing offer pathways to bridge the emissions gap. The evidence, just days before the start of the 24th Conference of the Parties to the United Nations Framework Convention on Climate Change (COP24) show global emissions have reached historic levels at 53.5 GtCO2e, with no signs of peaking – the point when emissions switch from increasing to decreasing. The report’s authors have assessed that only 57 countries (representing 60 percent of global emissions) are on track to do so by 2030. According to UN Environment, the analysis and a review of progress against national commitments under the Paris Agreement makes clear that the current pace of national action is insufficient to meet the Paris targets. Increased emissions and lagging action means the gap number in this year’s report is larger than ever. Translated into climate action, the authors have concluded that nations must raise their ambition by 3x to meet the 2°C and 5x to meet 1.5°C. To fill the void, the 2018 Emissions Gap Report offers new insight into what meaningful climate action will look like. 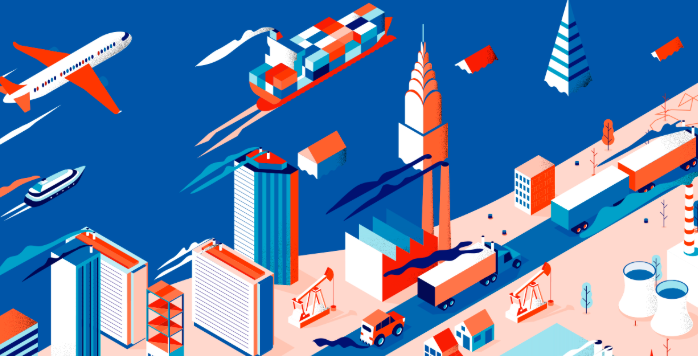 Through new analysis of global emissions in the context of fiscal policy, the current pace of innovation and an exhaustive review of climate action from the private sector and sub-national level, the authors have offered a roadmap for implementing the type of transformative action required to maximize potential in each of these sectors. Complemented by carefully designed fiscal policy, the potential is even greater, the report says. and a long term-horizon to increase financial uptake. 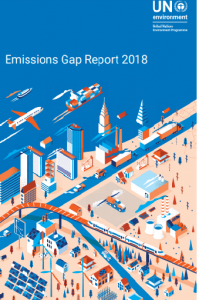 The ninth Emissions Gap Report has been prepared by an international team of leading scientists, assessing all available information, including data published in the context of the IPCC Special Report, as well as in other recent scientific studies.